Curtains have many purposes to add to your awning. For one, curtains can keep out bugs and insulate a building. Curtains can also add another layer of style to your awning and awning fabric. There are many to choose from. 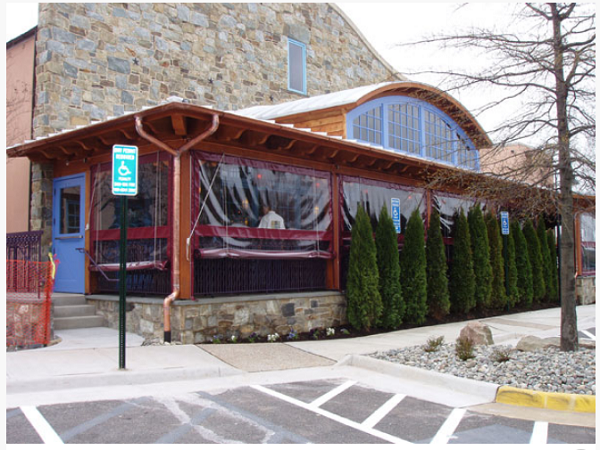 Keep reading to learn about the various curtains that Awning Resources provides. Side Retention screens provide a 100% bug-free barrier. Normally, these curtains are motorized and heavily guard against the sun due to its enclosed fabric roller tube. Steel and aluminum are the materials that the fabric housing, sidebars, and weight bars are painted. Typically, these curtains last about five to ten years. Not only are these curtains durable but with the right fabric, they help you appreciate the view a beautiful view while still protecting you from insects and inclement weather. Gear driven curtains are built to last. The awning fabric is rolled onto a roller tube and a guide cable or a track deploys the curtain. Deployment can be either motorized or manually used by a handheld crank. The weight bar is safely held in place by a track or cable system even when a gear-driven curtain needs to be deployed during inclement weather. The track can be attached to a fence or flooring on a patio. Rope pull curtains are popular because they don’t cost much to install. Rope pull curtains are also very simplistic in terms of design. The curtains operate through a series of ropes being pulled against the curtain to aid in deployment. One benefit of these curtains is that the size of the curtain can vary but still only need one user to operate. However, the simple design is not always the most appealing. Some individuals may not like the look of multiple ropes hanging from the curtain. Hand roll curtains are used as they sound: rolled by hand. This design is the easiest and least expensive. The only downside is that deployment can be shaky. With inclement weather, it’s hard for the curtains to stabilize. On a windy day, the curtains may blow around. Awning Resources is a trusted source when it comes to learning about the awning industry. You can learn about all of the different types of structures, fabrics, etc. We also have a listing of high-quality contractors from all across the country. So, if you are in need of an awning, visit our Find a Contractor page, and you will be connected to industry-certified contractors. If you want to stay up to date with us, then follow Awning Resources on Twitter, Facebook, and Pinterest.